Is she fantasizing? About what? Fantasies are fed and formed by reality, one’s surroundings. What is her reality, what could be her understanding of the real world? 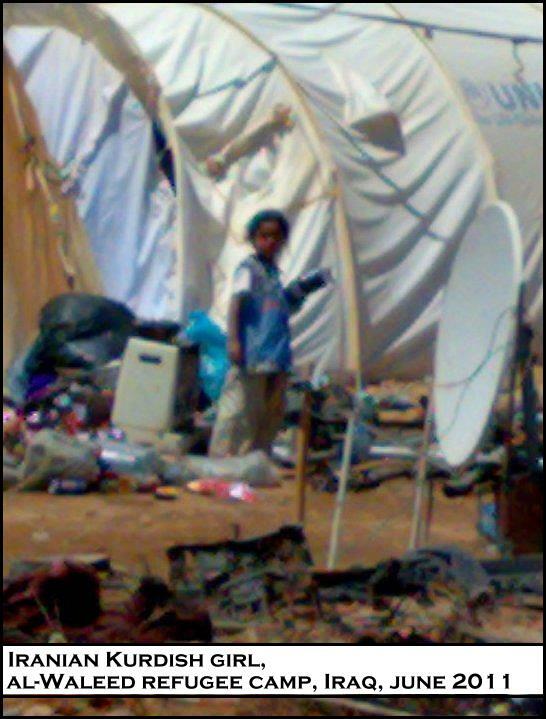 She only knows sand and heat and cold and flood… this girl child was born in a tent and is a stateless little child. Her parents probably were also born somewhere in a camp as first generation Iranian Kurdish refugees. Is she fantasizing? About what can she fantasize? Toys? What are those? Playing with older siblings or friends in a green and cool park? What is a park? She can fantasize about some things though: A smile on mama’s face, a father who is not constantly angry and restless, and a large, sweet orange! Is there any crime greater than stealing sweet dreams and fantasies from a child?